The world is full of a lot of things. Our material desires have no limits. Think twice, do you have a personal attachment to all of them? 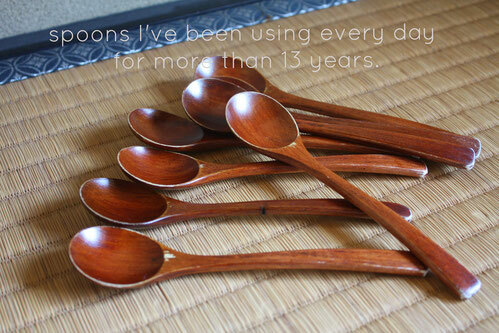 How long have you been using it? We often make a purchase new ones just because they become out of style or newer version is launched before cherishing them. Sadly many things are left behind in our life. Phones, cameras, bags, shoes, ceramics, furnitures… we like to get the latest models before the current ones don’t come to an end, and I feel like the manufacturer or the modern society would rather encourage the consumers like that. In Japan from ancient times we’ve been valuing the beauty of mending and nurturing the ageing process. As represented by “Kintsugi” which is the method to repair broken ceramics with lacquer and gold, not just throwing away but by repairing damaged things it gives them not only another life but also a new and refined unique aspect, thus we used to have the culture respecting the beauty of repairing. Moreover Japanese have a unique aesthetic of enjoying patina and faded as long as its life continues. Before we knew it, however, the latest thing attract people and we've become to jump at newest models and easily affected by trends. Industrial products are of the highest quality when they are shipped out, then degraded with age or out of style or discontinued model, while handcrafted items can be nurtured and developed over time by users. Lacquerware are said to be 80% of perfection when craftsmen finish their work, and is completed the rest of 20% by users. The more you use, the more glossy it grows and changes in its colours and textures with regular usage, then you may appreciate the nuanced flavour of your item. It could become your own special item. 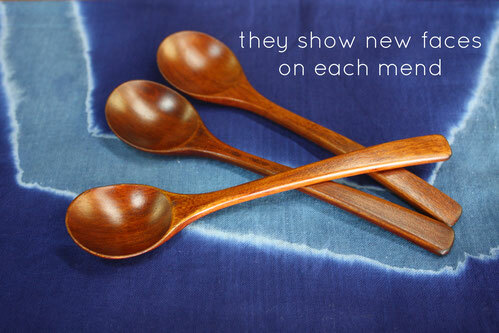 At tsugu we strive to select something that there is more to what lies beyond after continued use than when you purchased, something that you can use with care and love for many years to come.